Having announced them as main support for our European dates earlier in the year, we’re very pleased that Flood of Red will also be coming out with us for the UK dates of the Fair Youth tour. In addition we’ve asked some other friends and bands we’ve loved for a very long time to join us to open various shows on the dates between now and the end of the year. 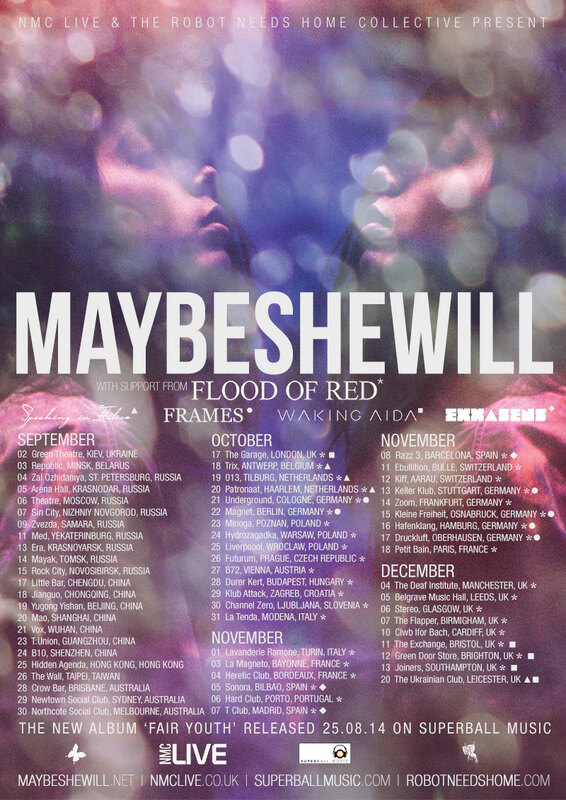 FRAMES join us for all German shows. EXXASENS join us for all Spanish shows. WAKING AIDA join us for London, Bristol, Southampton, Brighton and Leicester. &U&I join us for the London show. We wholeheartedly encourage you to come out early and enjoy all the bands who get the privilege of playing with on this tour. We’re so, so excited to be heading out with such an awesome collection of musicians, and we hope you enjoy them as much as we will.